If you’re looking for quality marble to incorporate into your building project, this might be a huge undertaking to pursue. 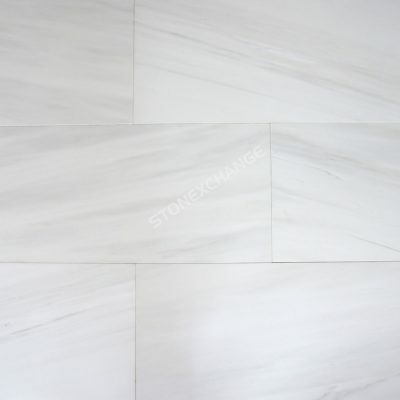 There are many marble tile distributors to select from, and many of them are able to sell their product to you at a reduced price. If you are a homeowner looking to renovate your home, then this might be a viable option. However, for developers, contractors, architects—any company that is building houses or commercial projects for a living may want to consider finding a wholesale supplier that has a consistent stock of marble. While there are plenty of marble tile distributors spread throughout the country, not all of them have a consistent stock of marble tile. Some distributors may have built their inventory by collecting scraps of marble from larger companies and are able to sell them for a little less than the market price. The drawback on this kind of a deal is that oftentimes, it’s a one-time deal. What this means is that if you are planning to build a housing development, chances are the interior finishings will look relatively the same, with a few exceptions here and there. But in order to appeal to a large pool of buyers, you’ll most likely need a lot of the same material for a cohesive look throughout your build to reflect your brand. You won’t be able to do that with a marble distributor that has a limited amount of inventory. Ordering tile on an as-needed basis is not recommended for building companies with recurring contracts. Chances are the reason why a contracting company was chosen was because of the quality of their build, and the type of finishings they use. New clients are expecting that same thing. You won’t be able to deliver that kind of a product if you’re stocking your inventory with buy-outs. Your inventory needs to have the type of consistency that has an ongoing flow of incoming marble tile. You want the type of marble supplier that is able to replenish your marble inventory the moment it is sold. This can only be done if you have a wholesale distributor that has a consistent and abundant supply of marble inventory of their own. So when choosing your marble tile distributor, it’s recommended to do a thorough research on what kind of company they are, where they get their supply of inventory, do they have a warehouse, and most importantly, how much do they have on-hand. Further more, your supplier should be getting their marble tile straight from a reliable source—the ground! If you have a marble distributor who mines marble from their own quarry, then you’ll most likely have a seller who can afford to sell their inventory at a lower rate. When you’re buying from a 2nd-party distributor, you won’t have that luxury. When you buy from a 2nd party distributor, the likelihood of that seller buying from a wholesale distributor like Nalboor Tiles increases. While 2nd party distributors have the advantage of stocking their inventory at wholesale prices, in order to gain a profit on their sales, they need to increase the cost per unit. This in turn, ups the market price for marble tile as almost every wholesale distributor is competing for the same buyers and has more or less the same price. Thus, the end price will be about the same. The difference in price will most likely depend on where the wholesale distributor is getting their marble inventory as well as how they choose to sell it. Of course, location is also a big factor. If you find a wholesale distributor who mines their marble tile overseas, but is located in a city that’s in close proximity to ports, then that is a huge plus. Not only can your distributor offer you an abundant supply of marble tiles, they may also be able to offer you the lowest price in the market. One of the key points to seriously consider is that if you have a marble wholesale distributor that has a warehouse and getting their supply directly from their own quarry—even if it is overseas, and they have direct access to a port—that company should be one of the front runners in selecting the right wholesale distributor. Nalboor is an online showroom that sells marble tile along with porcelain and engineered stone to building contractors, designers, and architects who can shop for a select type of tile for their building needs. Nalboor is located in Miami, Florida, but you don’t have to live in the South Florida area to take advantage of Nalboor’s competitive costs. You can order a free sample of any of Nalboor’s marble and tile products. This way, you don’t have to worry about spending a lot of money on a product based on what it looks like online. With Nalboor’s free sample option, you’ll have the comfort in knowing exactly what you’re going to buy. So you don’t have to be concerned with limiting yourself to just local distributors anymore. You could live in Kansas and have Nalboor Tiles in Miami, Florida be your distributor. We deliver our marble tiles anywhere in the United States. We are a wholesale distributor, so the more inventory you buy from us, the less you’ll pay for the unit price. Our online inventory can be viewed here. We also have a selection of marble sealers to help your marble floors last longer. Call Nalboor Tiles at 305-501-4548 if you are interested in us becoming your marble tile wholesale distributor. You can also contact us online today!